InterTASC is the community of health technology assessment agencies who deliver independent, objective evidence reports to support health policy decision making by NICE and other national bodies like the UK National Screening Committee. The main purpose of InterTASC is to act as a forum for sharing and resolving common difficulties experienced in undertaking health technology assessments. We also undertake regular educational workshops for the community on cutting edge issues like survival analysis and technology assessment of tests, in order to develop and share best practice. We represent one of the largest collaborations of health technology assessment bodies internationally. There are nine contributing groups, from England, Scotland and the Netherlands. Each group has their own well developed multidisciplinary teams of information specialists, systematic reviewers, statisticians, modellers and health economists of 5-20 persons. Most of the teams have been producing high quality HTAs for NICE or other funders for over 15 years. The annual output of InterTASC reports is in the region of 40; specific examples are available at each contributing member’s web-site. Through their research conducted to support the work with NICE Technology Appraisal programme and HTAs for other funders the teams have developed the methodology of HTA. Through InterTASC meetings and workshops the teams have shared their best practice. InterTASC is not a strict acronym. “Inter” conveys that we are a collaborative group. “TASC” stands for Technology Appraisal Support Collaboration. 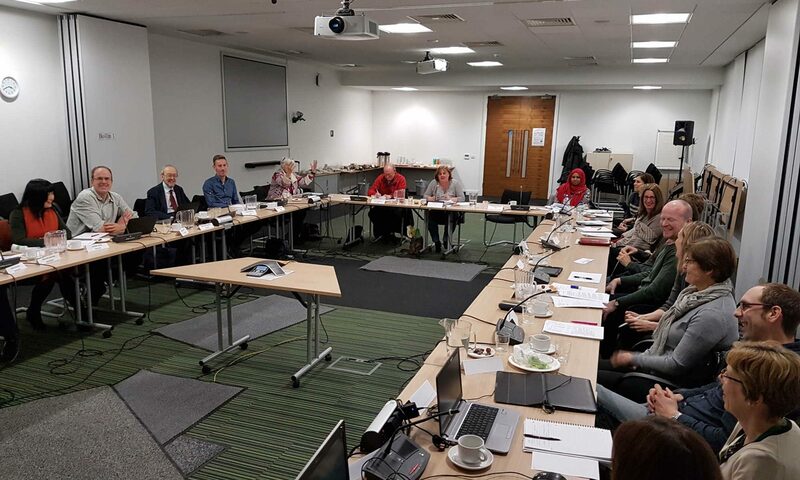 Since the founding of InterTASC, new teams have joined InterTASC as they have been granted contracts to conduct technology assessment reviews for the NIHR HTA programme and NICE. The West Midlands HTA Collaboration has stopped conducting technology assessment reviews for NICE and has left InterTASC. See the teams page for the list of current InterTASC teams. Health technology assessment (HTA) refers to the the systematic evaluation of properties, effects, and/or impacts of health technology. It is a multidisciplinary process to evaluate the social, economic, organizational and ethical issues of a health intervention or health technology. The main purpose of conducting an assessment is to inform policy decision making. In England, NICE uses health technology assessment in its Technology Appraisals processes. NICE sets out how health technology assessment should be done to support its production of guidance for the NHS, to ensure a consistent approach is used across appraisals. The chairship of InterTASC rotates amongst the heads of the InterTASC teams. The current chair is shared by Joanne Lord and Jonathan Shepherd of SHTAC. InterTASC meets formally twice a year, in addition to hosting workshops, which are open to members of InterTASC teams, and in some cases to representatives from policy makers and industry. InterTASC sub-groups are formed by specialists within InterTASC, usually with the aim of improving methodology or processes. There are currently three InterTASC sub-groups: information specialists, test methods and administrators. In the past there was a health economics sub-group. InterTASC does not receive any direct funding. InterTASC activities are funded by contributions from the nine TAR centres. The TAR centres themselves are funded by the Department of Health through the NIHR Systematic Reviews Programme (approximately £8m each year) to undertake health technology assessments on topics identified to be of importance by NICE and the NHS. Some TAR centres also provide consultancy services for industry. InterTASC receives no direct funding from the pharmaceutical or tobacco industries.